Haigh and Miller explore the role of digital storytelling in the research domain by presenting two illustrative case studies. In both of these, concepts such as paternalism and epistemic injustice are explored, with the nature and content of digital stories and their usefulness as post-hoc data, being suggested as a way of countering these. 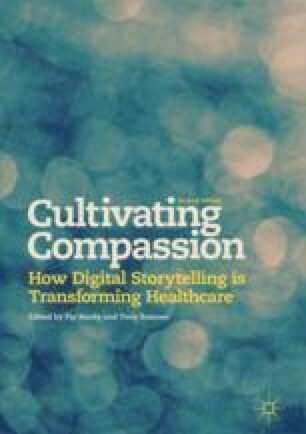 The strength and versatility of the stories in providing a voice for those who may be seen as slipping into the gaps of healthcare practice and healthcare research is emphasised. The stories discussed in this chapter can be viewed on the Patient Voices website at www.patientvoices.org.uk.